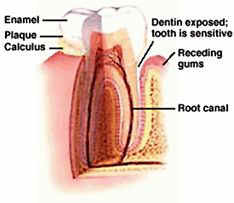 • Receding gums caused by improper brushing or gum disease. • Fractured or chipped teeth. 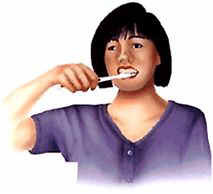 • Clenching or grinding your teeth. • A special toothpaste for sensitive teeth that can either block access to the nerve or make the nerve itself less sensitive. • A fluoride rinse or gel for sensitive teeth, recommended by your dentist.